When I look back at the past couple of years and how things have changed it made me realize that the only way we could keep it together was to dream big and never give up. Let me take you through one such event where we dream big and never give up on my dream. Around three years back we started our little cake business;the dream was to turn this into a big cake business. However, at that time we were only doing cakes that were in our website and not custom cakes. Around the time there was a lot of inquires from customers asking us if we could make customised cakes, especially the ones that are made of fondant. We had the know-how of creating such cakes, but did not have enough courage to actually take any commercial orders. One fine day, all that changed; there was competition on a social media platform on a bakers group of which I am part of. The competition was ….. You guessed it….. Make Independence Day themed cake. After some coaxing from family and friends I decided to enter the competition. 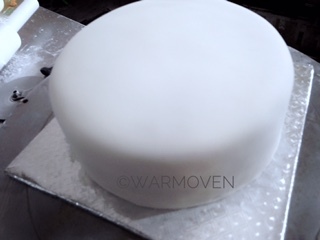 After a lot of research; I zeroed in on a design that involved fondant work. When I set to work on the design it took me approximately 4 hours to create the completed cake. I submitted my entry in the competition and I won!! (I am not sure there were too many entries). There is no looking back from that point onward. We have now made and fulfilled many customised cake orders. Would love to hear your experiences…Please comment below to share your experiences. 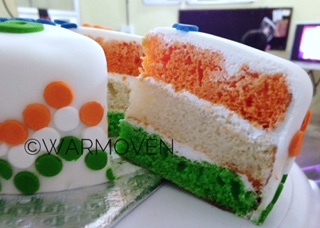 For fellow home bakers who have big dreams and want to partner with us to deliver; feel free to drop in a note to: customer@warmoven.in or reena@warmoven.in or visit http://homeoven.in/. 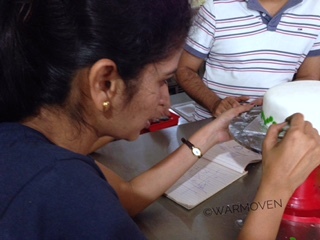 To order custom cakes give us a call on 8088778809/ 89710-00300 to discuss your requirement or email us at sales@warmoven.in or leave us a message on our FB page – https://www.facebook.com/WarmOven or visit https://www.warmoven.in/cakescustom.